Here at Black Tomato we know planning a trip to South America can seem a little daunting if it’s your first time to the great continent. Even if you’re returning there’s so much on offer it’s hard to know where to visit next. With this in mind our Travel Experts have carefully selected two countries, Argentina and Uruguay, that complement each other perfectly for a luxury cultural discovery. On this 11 night adventure you’ll start in bustling Buenos Aires for a bit of tango dancing and cocktails sipping with the locals. Then you’ll head to the home of malbec, Mendoza, where you’ll master the art of wine blending and learn to make the perfect empanada. You’ll then hop across the border to Uruguay, one of Latin America’s undiscovered gems full of breathtaking delights where you can live out your wildest gaucho dreams and hang-out with South America’s wealthiest on the beaches of Jose Igancio. This trip is a recipe for diversity, contrast and world-class wine during which you’ll get the very best out of South America. Thriving, vibrant and full of charm – that’s how we’d describe Buenos Aires to anyone who hasn’t been lucky enough to experience this city yet. From tango lessons with the experts to cooking lessons with your own private chef, your first three days of this border hopping vacation will serve as a perfect introduction to awaken your traveling spirit. Stay at the palatial Alvear Palace in Recoleta, the city’s most fashionable neighborhood. Just two blocks from the famous Recoleta Cemetery where Argentinian icon, Eva Perón, rests, this is the perfect spot to mix culture and leisure. Don’t forget to treat yourself to afternoon tea at the hotel, enveloped in marble interiors that exude European elegance. In the wine capital of South America, we couldn’t single out just one Mendozan wine lodge to treat you to. So instead, we’ve picked two that fit snugly in the middle of your adventure. First, The Vines Resort & Spa awaits you in the heart of Mendoza’s Uco Valley, an off the beaten path destination where you’ll be immersed in the world of wine. Dubbed ‘The Next Napa,’ here you can explore a mix of boutique and family run vineyards without the crowds. The next day we’ll whisk you up the road to Bodega Andeluna for a lesson in the art of Argentinian empanada making, before you feast on a wine-paired lunch with panoramic views to complement the renowned gaucho cuisine on your plate. Head back to The Vines for a glass of Pinot Noir by the infinity pool and watch the sun set over the Andes. Your wine lands adventure continues as you head north to Lujan de Cuyo, a region famous for its Malbec production and for the outstanding Cavas Wine Lodge, your next stop. Nestled in a 55-acre vineyard, this is the ultimate wine paradise. Enjoy an unforgettable day in Mendoza with a visit to Tempus Alba Bodega that will leave you wanting more, with its unique and innovative wine producing techniques and unparalleled hospitality. You’ll feel welcomed here like an old friend, and after being shown how to create your own tailor-made blend of wine, you’ll never want to leave. 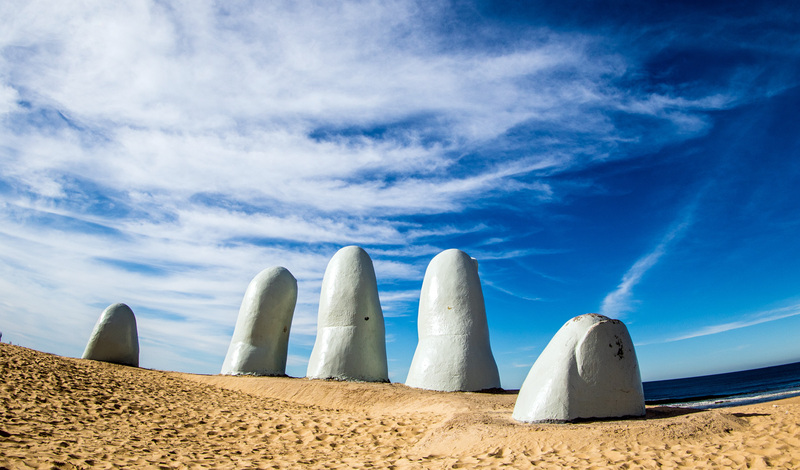 From Argentina you’ll then set off to discover Uruguay, one of the most charming and relaxed destinations in the world. 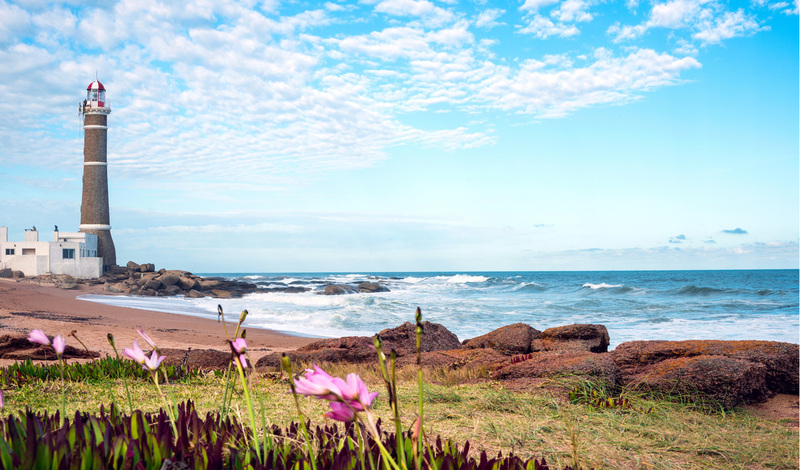 Head back to BA for your flight to the alluring Punta Del Este, before heading northeast to the picture perfect fishing village of Jose Ignacio. After such an epic wine tour over in neighboring Argentina, your days in Uruguay will be focused entirely on relaxation and soaking up Uruguayan tradition in the lush countryside. Welcome to Estancia Vik, a traditional ranch which forms one third of Alexander’s Vik trio of luxury art hotels that grace the shoreline of this seaside haven. Estancia Vik boasts an impressive 4000 acres of open landscape to explore on horseback like a true gaucho. Why not take part in a polo match with professionals to get your adrenaline pumping? Or simply sit back and enjoy the view whilst spotting flamingos, ostrich and armadillos in the most beautiful of settings. Your final stop is just down the road from Estancia Vik, and is, in fact, its sister hotel on the beach. Yes you’ve guessed it, the aptly named Playa Vik. If Estancia Vik represents traditional Uruguay, Playa Vik is its contemporary counterpart, an architectural oasis in complete harmony with the surrounding coastal environment. Spend your final days here unwinding in utter peace and quiet. The hotel’s Brasero fire pit is the most idyllic spot to enjoy a glass of the Vik’s signature house wine while watching the sun set over the Atlantic. If you can tear yourself away from your beach-side paradise, or more specifically Playa Vik’s unique granite infinity pool that looks out over beach and ocean, we recommend lunch at La Huella for a fresh beachfront snack. Save your appetite though for a typical Uruguayan supper back on the terrace before a moonlit bonfire on the beach. A sublime end to a spectacular adventure.